The Lake Norman Group, is led by award winning Realtor/Broker Frances Dawson. In her first year in Real Estate, Frances was named Rookie Of The Year for the Lake Norman Office. She also consistently receives the Multi Million Dollar Producer award. Awards over the years include: Honor Society, Leading Edge Society, Presidents Circle and 100% Club. In 2004, Frances completed the educational requirements to receive the GRI designation. This designation for Graduate of the Realtor Institute is accomplished by less than 5% of the Real Estate industry professionals nationwide. Amy was raised in Anderson, SC on Lake Hartwell. After graduating from Clemson University with a degree in Graphic Communications she moved to Charlotte in 1992 to work in the printing industry. She and her husband, also a Clemson Graphic Communications graduate and a rare native Charlottean, began married life in Charlotte then decided to move to Lake Norman. In 2005 Amy completed the steps necessary to become a NC Realtor. Amy and Frances were already neighbors and friends, and have made great work partners for the past 9 years. Amy loves raising her two active boys with her husband in the Lake Norman area. Amy is well versed in both Charlotte and Lake Norman and serves as a great resource to clients wanting a full view of their potential Home purchase options in the Charlotte Metro/Lake Norman area. Frances is committed to providing a high level of quality service. As a result, she has a growing group to assist her in serving client's unique needs. 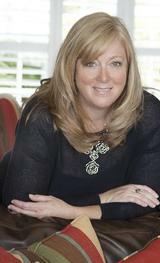 The Lake Norman Group is complimented by Realtor®/Broker Amy Fesmire. Amy has lived in the Charlotte area for nearly 20 years, about half of that time she has lived in the Lake Norman community. 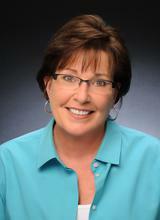 Amy is a licensed Real Estate broker and an experienced sales agent. She is familiar with all areas of the Charlotte Region and is an excellent resource. Professionalism, communication and exemplary customer service are the key to the success of The Lake Norman Group and your satisfactory real estate transaction. The Lake Norman Group, led by Frances Dawson has the expertise you need and a proven track record of success in the areas where it counts. We have put our reources into sales and marketing techniques that produce the best results. The Internet is quickly becoming the preferred medium for buying and selling real estate. Today, over 84% of consumers use the internet to look for residential property. Our website www.HomesofLKN.com is one of the best in the business. It is organically optimized which means that our site is frequently found by multiple search engines. For the internet savvy buyer, our listings are available more often than other companies. If you are selling your home, an optimized website is a valuable marketing tool. Print advertising is quickly becoming a thing of the past. The Lake Norman Group puts their resources where the buying consumer is focused. It is essential to understand consumer buying/selling trends and local market conditions to be successful in today's real estate industry. The Lake Norman Group is committed to cutting edge research in both these areas. Our HOME SELLERS COMPREHENSIVE MONTHLY REPORT is an example of this effort. We take the time to analyze what is competing with listing and selling in your neighborhood to better serve your needs now and in the future. For our BUYER CLIENTS, we analyze area/neighborhood market statistics to be sure you don't overpay for your Lake Norman home. We are also available for personal complimentary consultations and look forward to becoming your Real Estate Professionals for life! Contact me today, Frances@HomesofLKN.com.